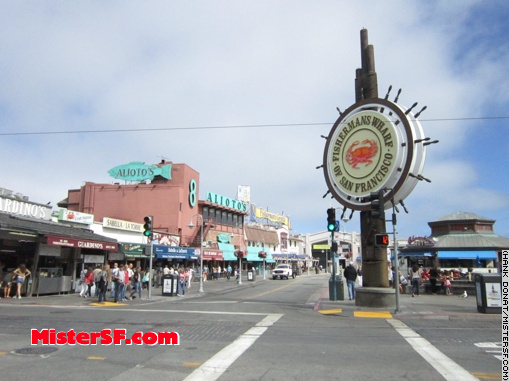 Fisherman’s Wharf is most inviting very early in the morning. 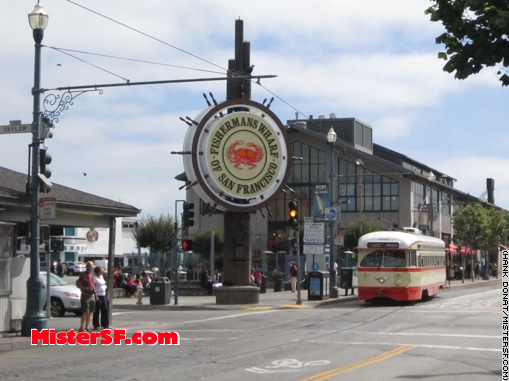 Tourists will want to beat the lines; locals will want to beat the tourists. 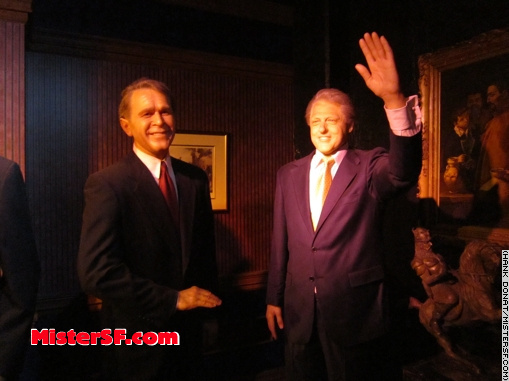 Dateline: San Francisco Wax Museum, 145 Jefferson Street, Fisherman’s Wharf, where Mister SF says so long to the ultimate unhip 50-year institution. 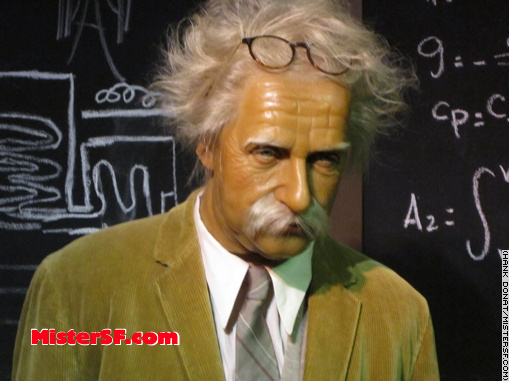 Let’s face it, San Franciscan, life is too serious. 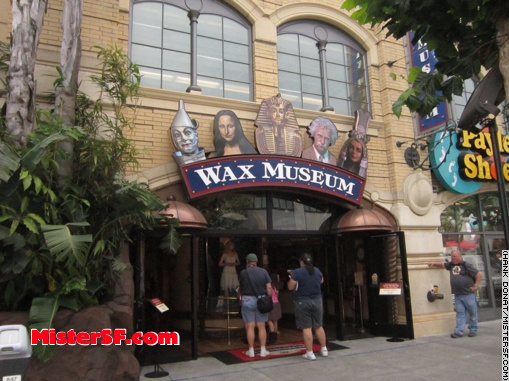 If you can’t be silly for three quarters of an hour just to get the visitors and/or kids out of someone’s hair, then you just might be as pretentious as some accuse you of being. 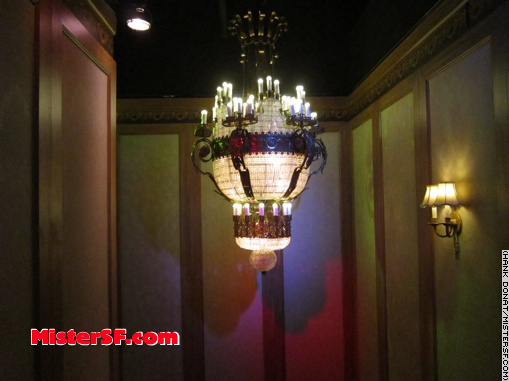 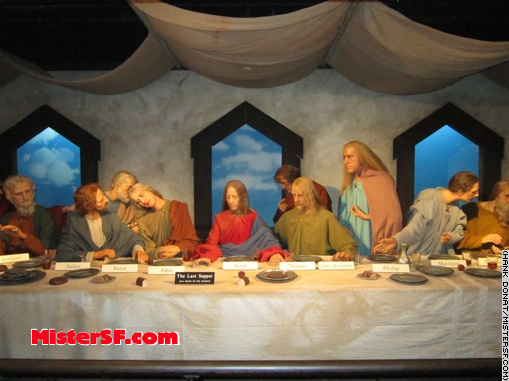 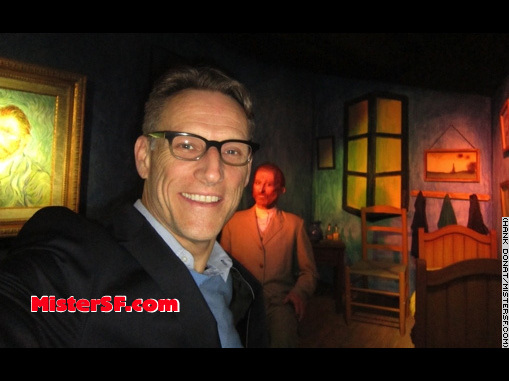 Thomas Fong opened The San Francisco Wax Museum in a former grain warehouse on May 12, 1963. 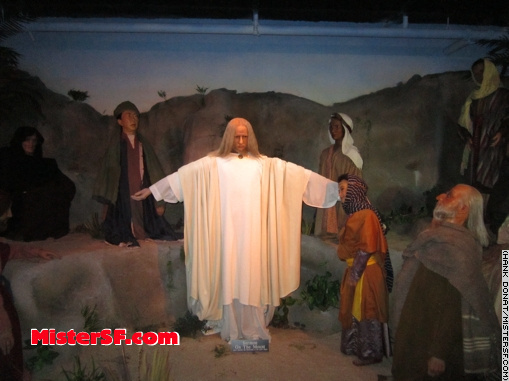 Fong was inspired by wax figures he saw at the Seattle World’s Fair a year earlier. 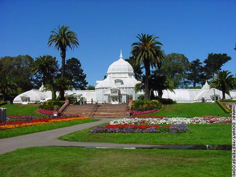 The building, pictured here on the final day, is a 1998 replacement. 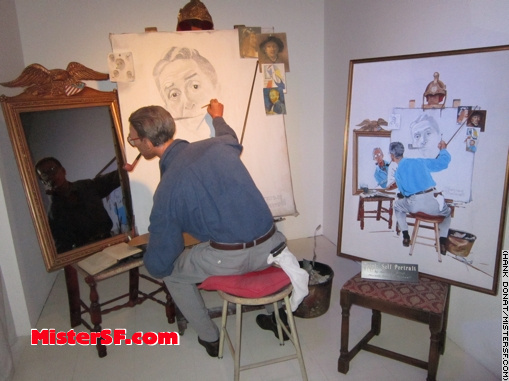 Fong’s grandson, Rodney Fong, runs the show these days. 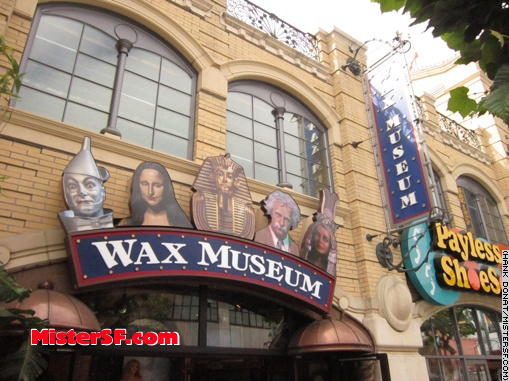 Fong has leased the 100,000 square-ft. space to the company responsible for the Madame Tussauds wax museum chain. 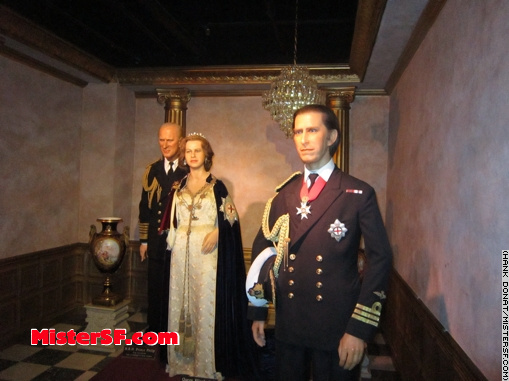 According to museum employees, the Madame Tussauds-branded museum is expected to open in 2014. 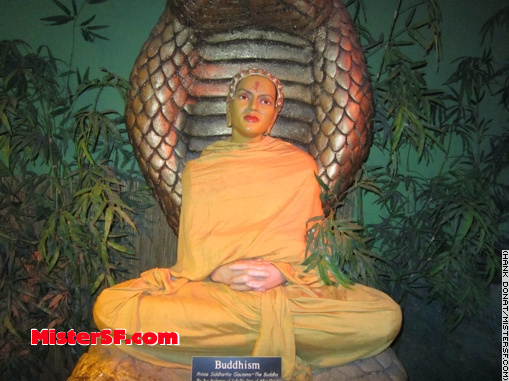 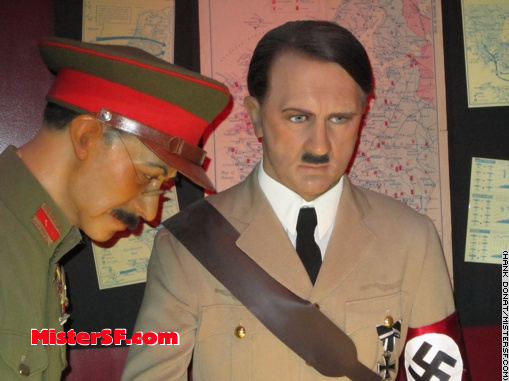 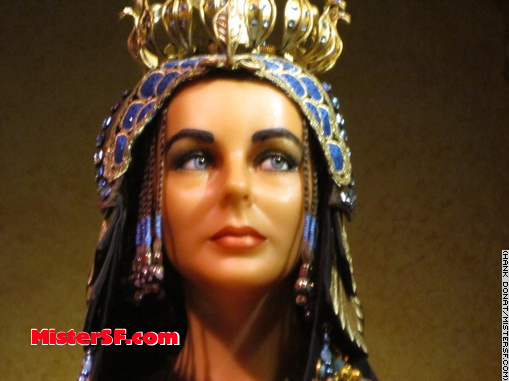 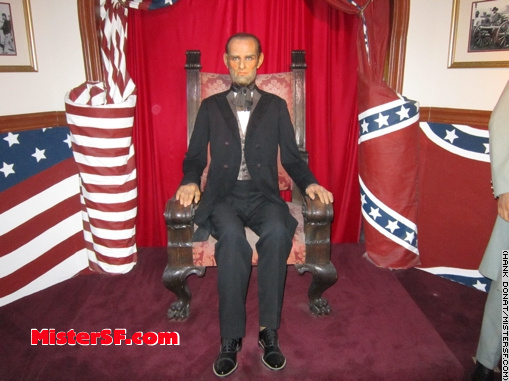 In recent years, the San Francisco Wax Museum boasted up to 300 figures in its collection. 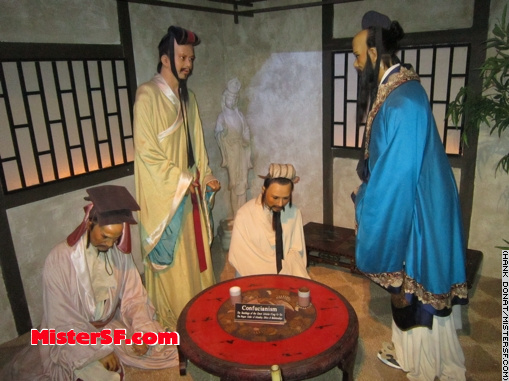 Fong says he plans to sell the existing collection of figures as a lot. 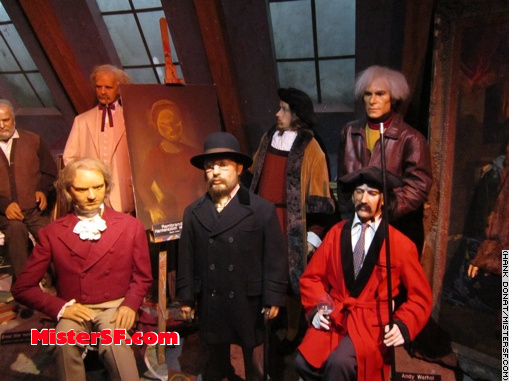 While Madame Tussauds is likely to provide a signifcant polish to the whole concept, all the figures look like giant candles to Mister SF. 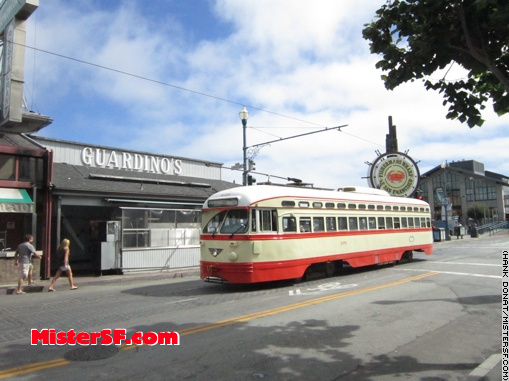 Nevertheless, let’s take a last look at a unique San Francisco business that has entertained countless tourists – and countable locals – for half a century. 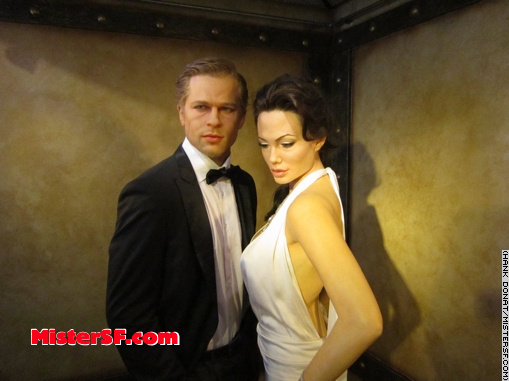 Wax Brangelina, then and now. 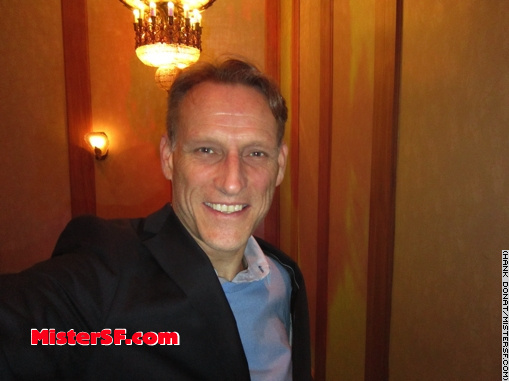 Mister SF with the younger, hipper Brad in 2006, and today’s weird, aging Mr. Button and Mrs. Smith. 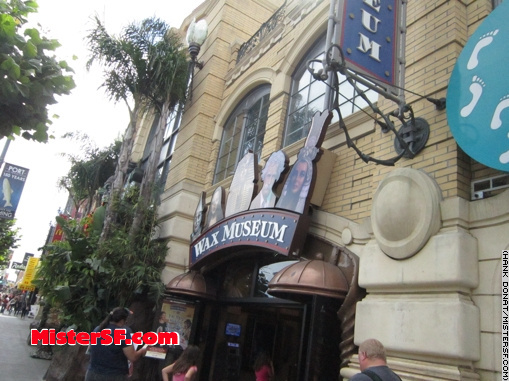 It’s an accidental yet appropriate statement for the anachronistic museum on its final day. 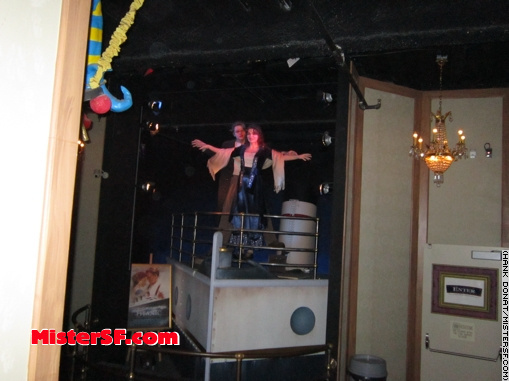 Down the stairs and to the left, it’s Jack and Rose from Titanic. 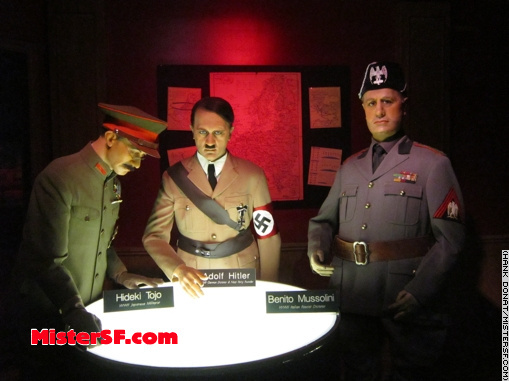 World War II figures: Axis forces. 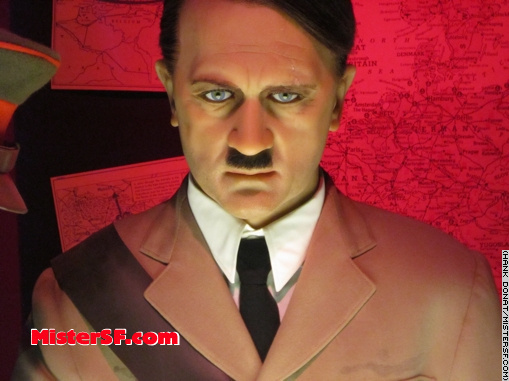 World War II figures: Adolph Hitler. 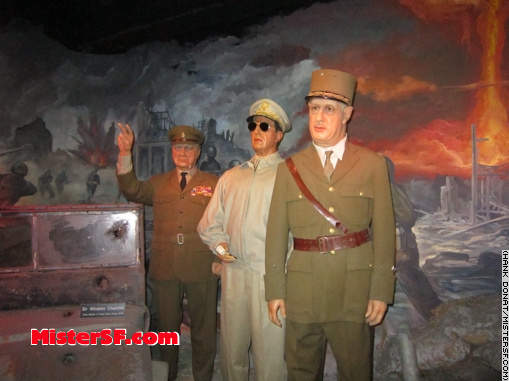 World War II figures: Allied Generals. 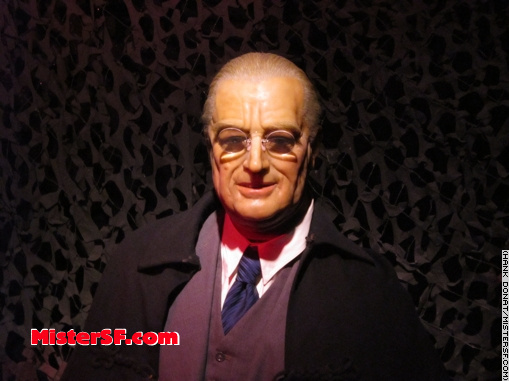 World War II figures: President Franklin Delano Roosevelt. 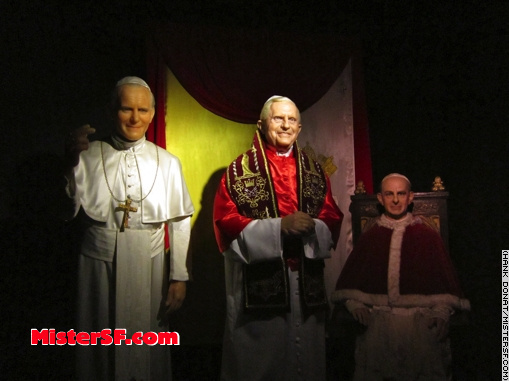 All kidding aside, the wax museum was a fun, educational place. 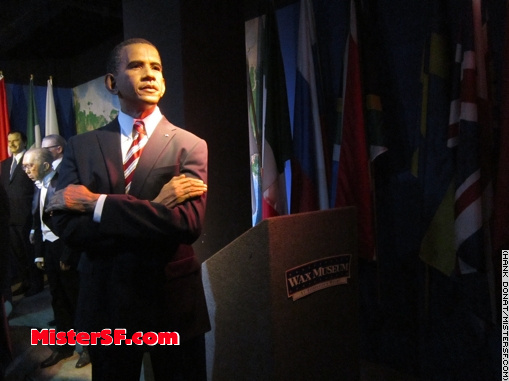 Where else would you have an opportunity to explain who half these people were to anyone born after 2000? 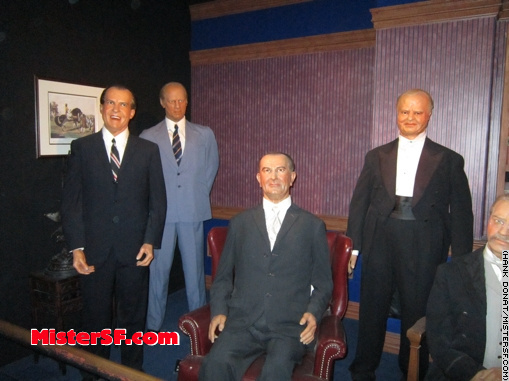 Presidents: Richard Nixon, Gerald Ford, Lyndon B. Johnson, Herbert Hoover. 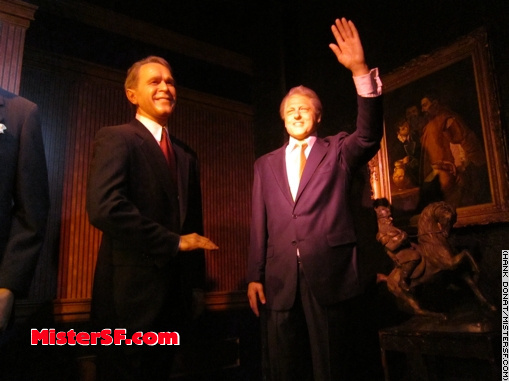 Presidents: George W. Bush, Bill Clinton. 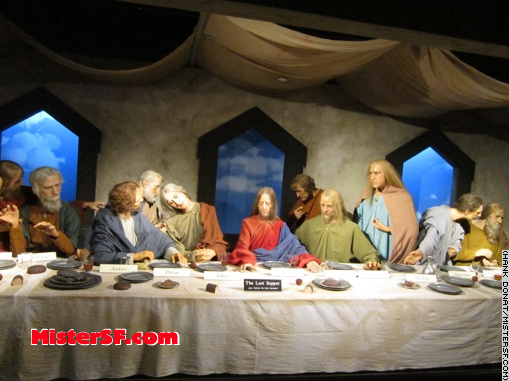 Religions: Sermon on the Mount. 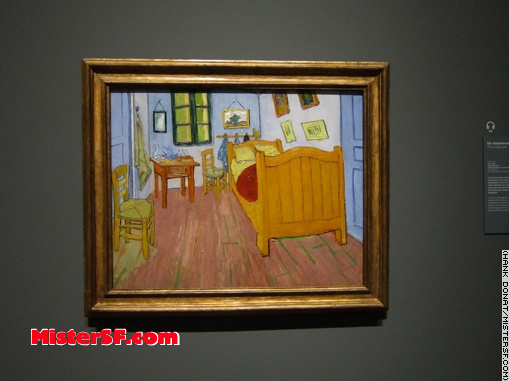 Artists: Andy Warhol, Henri De Toulouse-Lautrec, et al. 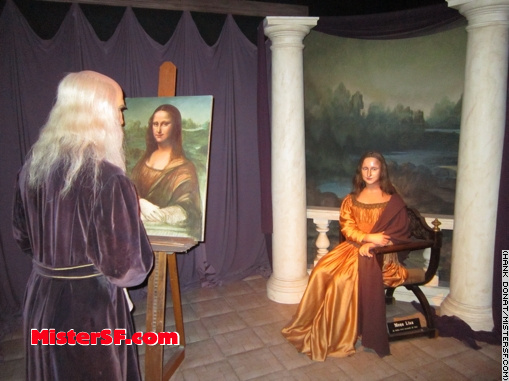 Artists: Leonardo DaVinci and the Mona Lisa. 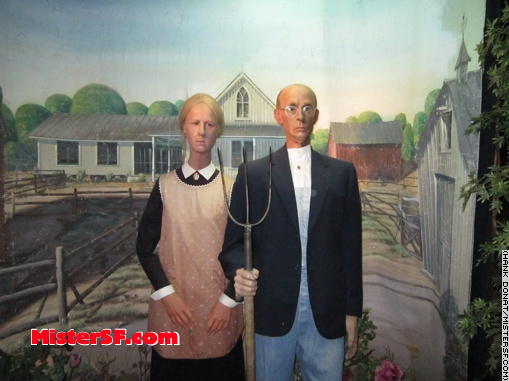 Artists: Grant Wood's American Gothic. 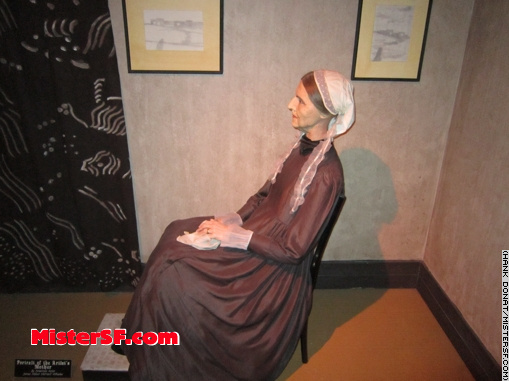 A contraband photo of the real thing at the Hermitage in Amsterdam in 2012. 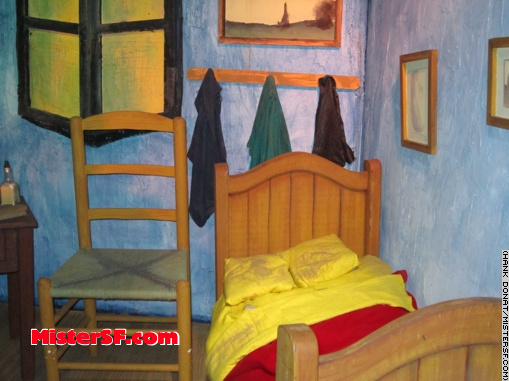 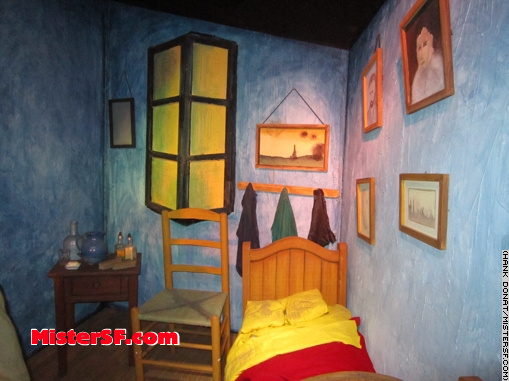 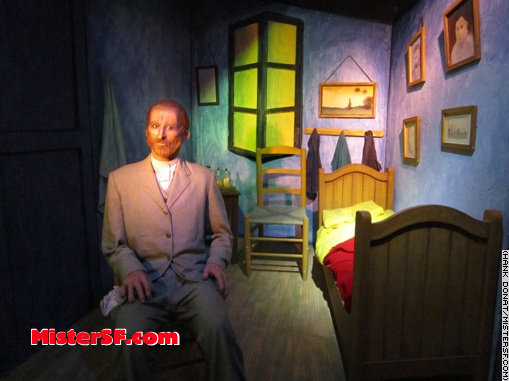 We always loved this Vincent Van Gough installation with replica bedroom!